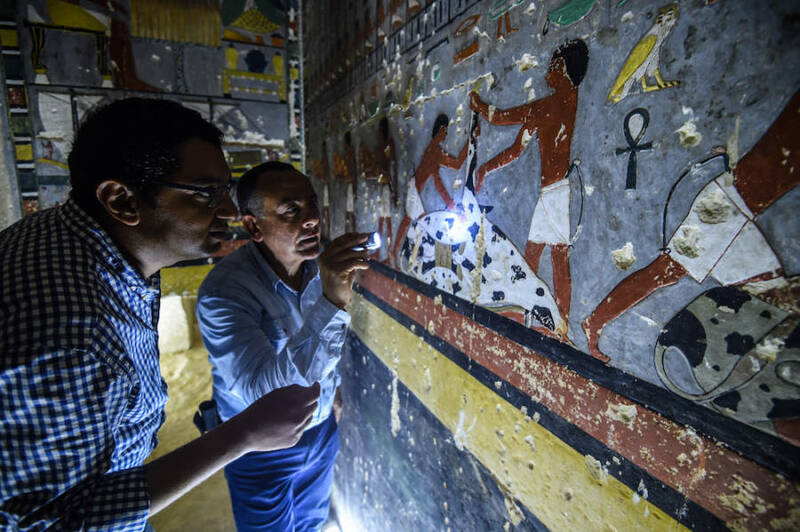 A team of archeologists in Egypt recently unveiled a well-preserved tomb featuring meticulous artwork that adorns its walls dating back to more than 4,000 years ago. 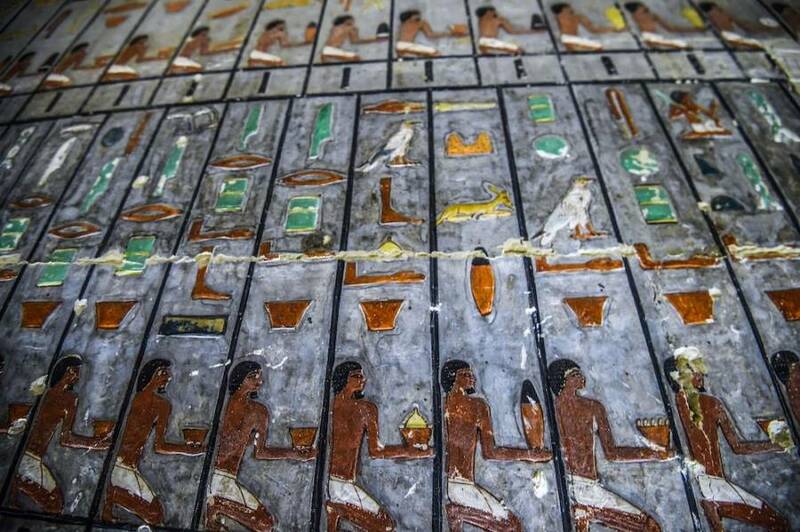 Experts believe that the tomb belonged to an ancient Egyptian nobleman named Khuwy. As the ancient artifacts inside the tomb showed, it was likely that Khuwy was an important figure during the Fifth Dynasty. The tomb itself is part of a necropolis at Saqqara, a massive excavation site that is located 30 miles south of Cairo. 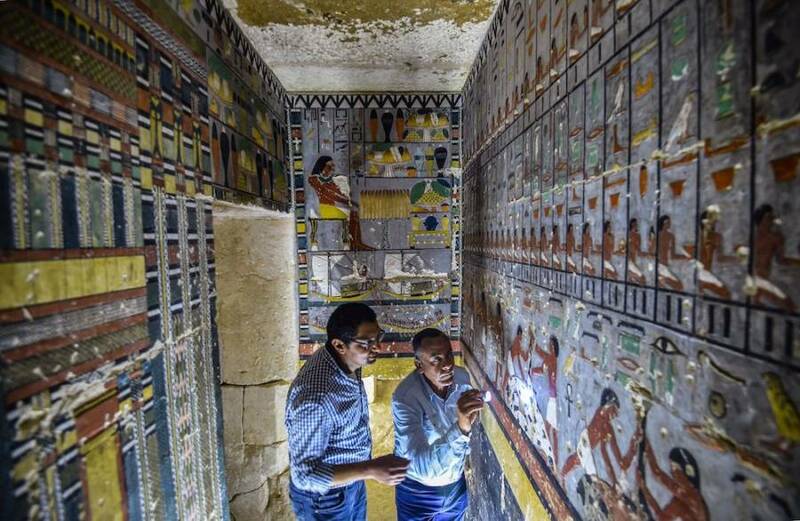 "The colors are exceptionally well-preserved inside the tomb," Minister Khaled said in an interview with reporters during the opening of the site. Archeologist Mohamed Mujahid led the excavation team that discovered the ancient tomb. 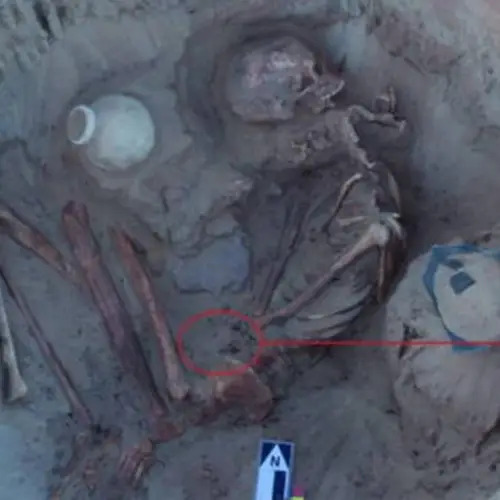 His team found Khuwy's mummy and fragments of the nobleman's canopic jars, which are the containers that are used to contain the bodily organs of the deceased. The structure is largely made from white limestone bricks, designed with an unusual L-shaped structure and features a small corridor leading down to an antechamber. Further down beyond the antechamber lies a larger chamber with walls that are magnificently covered in painted relief. The paintings are thought to show Khuwy sitting at a table, waiting to receive offerings from his people. What makes the tomb unique is its intricate architecture that signifies the importance of the figure buried behind its walls. For instance, the tomb boasts a tunnel entrance that is usually only found in pyramids. 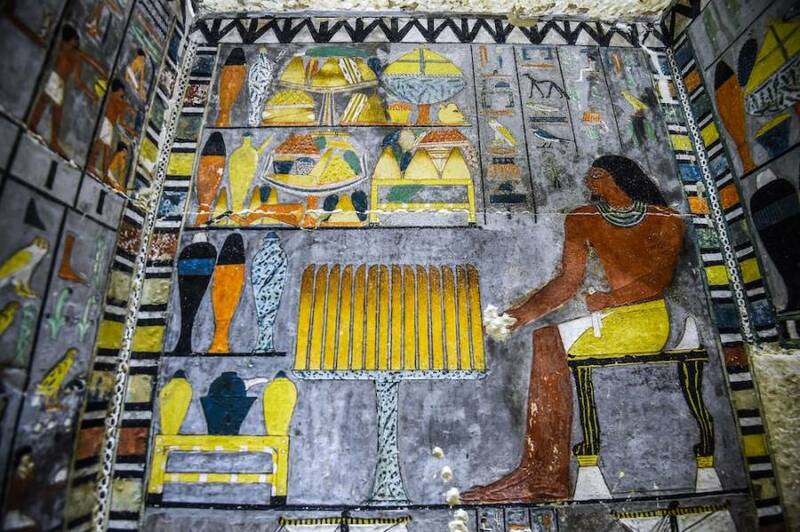 Another distinct feature of the tomb is the brightly-colored paintings that cover its walls: the colors used to create the elaborate images are shades that are often associated with royalty. 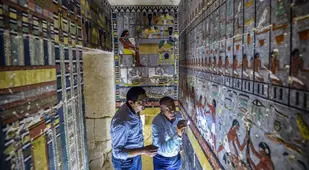 The paintings on the tomb walls and the design of the structure are significant not only because of the incredible craftsmanship that these works display but also because of the historical information that these artifacts reveal. 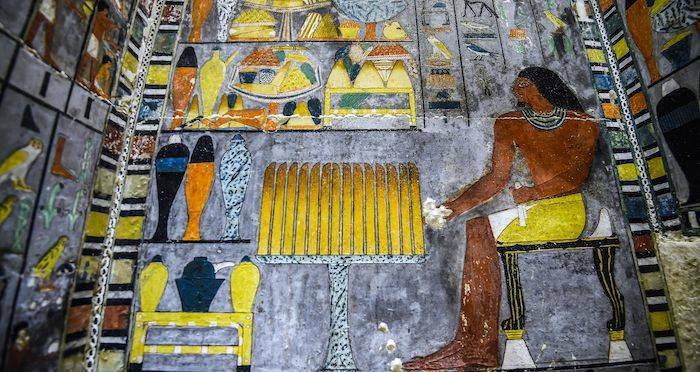 Mohamed El-Shahed/AFP/Getty ImagesA close-up of the colorful paintings on the wall of Khuwy's tomb. 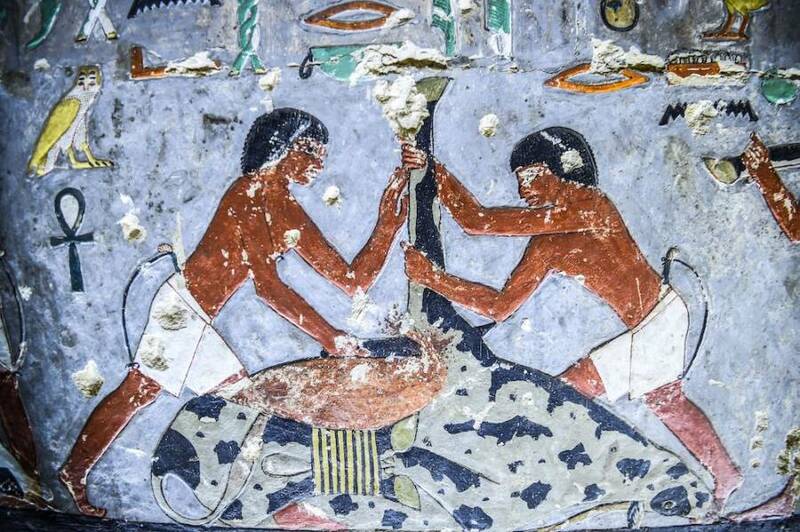 The elaborate features of Khuwy's tomb have led archaeologists to suspect that the high official had a very close relationship with the reigning pharaoh at the time, Djedkare Isesi. 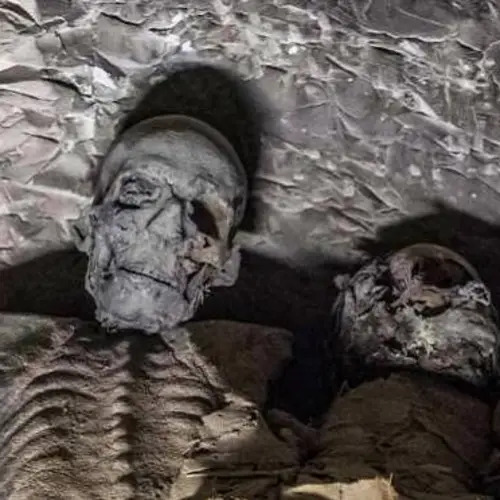 Interestingly enough, the burial site of Djedkare, one of the most influential ancient Egyptian kings, lies not far from Khuwy's newly discovered tomb. All these findings point to the likelihood that Khuwy was regarded as an important figure to the king. One theory from experts even suggests that the two men could have been related, while others hypothesize that the tomb's unique design is simply a result of the many religious reforms that Djedkare was known to have decreed at the time. 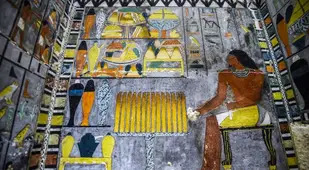 According to Newsweek, Djedkare chose to perform primary worships of Osiris and gave precedence to him, especially when it came to funeral rituals. 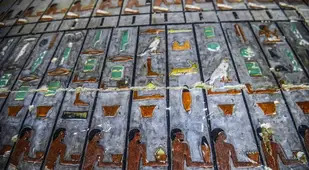 This practice was in contrast with other pharaohs of the Fifth Dynasty that worshipped the god Ra, or the Sun God, who is regarded as the most important god of ancient Egypt. Pharaoh Djedkare is one of the most notable kings to have ruled over ancient Egypt. He was known for his reformist stance on centralized administration, often devolving power to provincial rulers around Egypt instead. 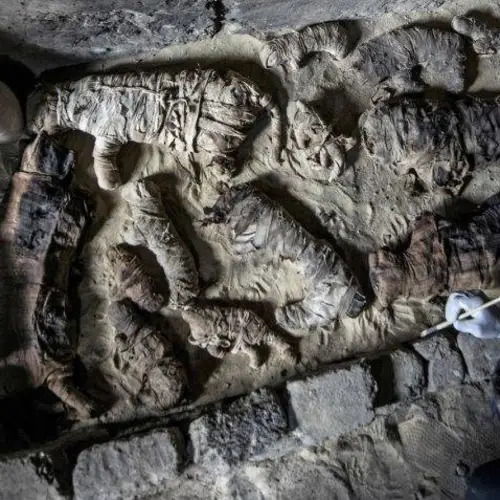 The newly discovered tomb seems to hold more mysteries that archeologists have yet to unlock. 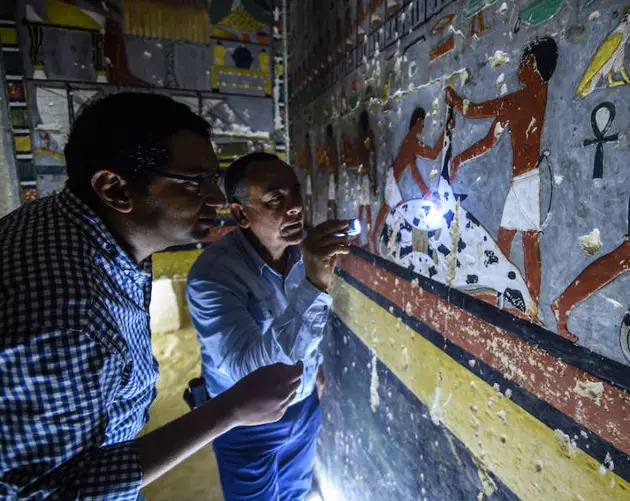 But they hope that the discovery will provide us with a better understanding of ancient Egyptian history and Djedkare Isesi's 40-year reign. After learning about the discovery of Khuwy's 4,300-year-old tomb, read about the hidden chambers of King Tut's tomb. Then, learn about the giant Egyptian pharaoh status uncovered under the slums of Cairo.